This week I’m enjoying a buswoman’s holiday: I’m taking off from developing recipes and writing cookbooks to spend some time in the kitchen. 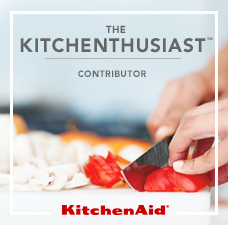 There’s a difference between cooking for work and cooking for play. 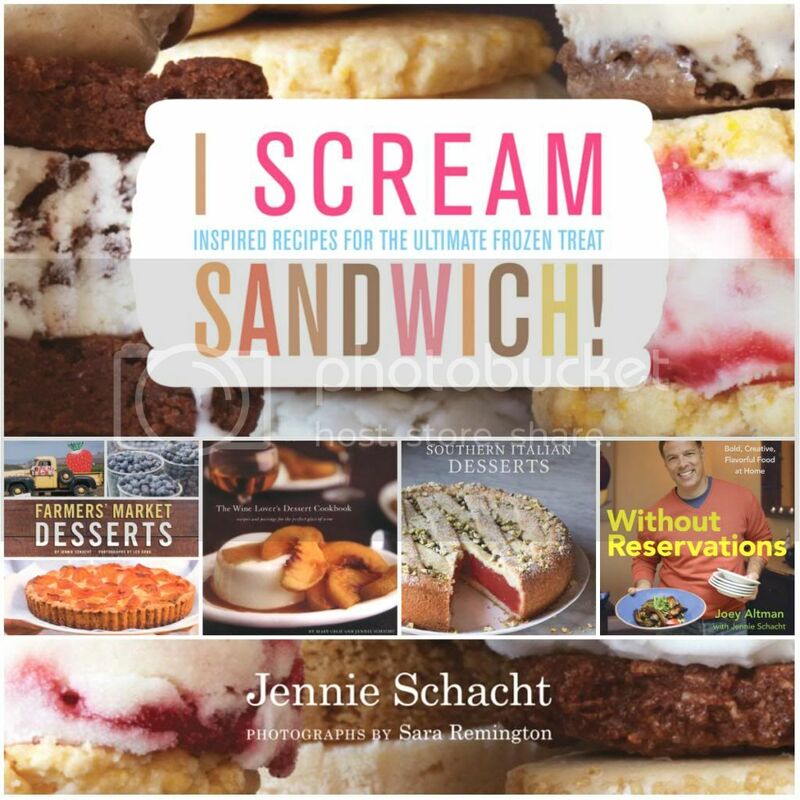 I get to make whatever I want, and I don’t have to keep making it over and over again until it’s perfect. I can toss in ingredients without measuring. And there’s no need to take copious notes. 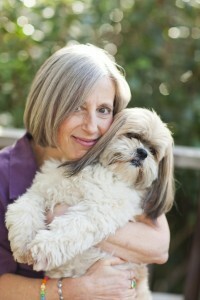 I love my work, but this is pure fun. 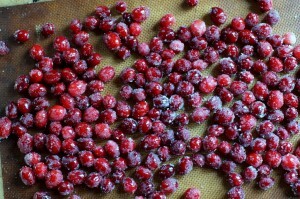 Today’s project: sugared cranberries. I’ve adapted my technique from Heidi Swanson’s Sparkling Cranberries. Her recipe is great just as it is, but I’ve made a few modifications to suit my own taste. The berries look gorgeous and they could hardly be easier. Pop one in your mouth and a tart squirt of juice balances the sugary coating. A bonus is the leftover soaking syrup, which I will serve at Christmas brunch to imbue flutes of sparkling wine or fizzy water with a sweet-tart flavor and a rosy hue. I may even make them again for New Year’s Eve and Day. Put the berries into a strainer. Rinse and pick them over to remove any stems or damaged berries. Put 1 cup of the sugar, the vanilla bean, and the salt in a medium saucepan. Stir in 1 cup of water. Cook over medium heat, stirring occasionally, until the sugar dissolves. The mixture should be simmering gently but not fully boiling. Remove the mixture from the heat and let cool about 5 minutes. 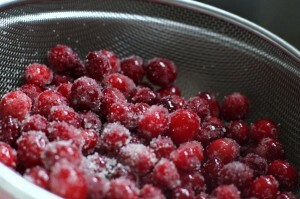 Add the drained cranberries and stir to coat them with the syrup. Set aside until the mixture reaches room temperature, then cover and refrigerate overnight. 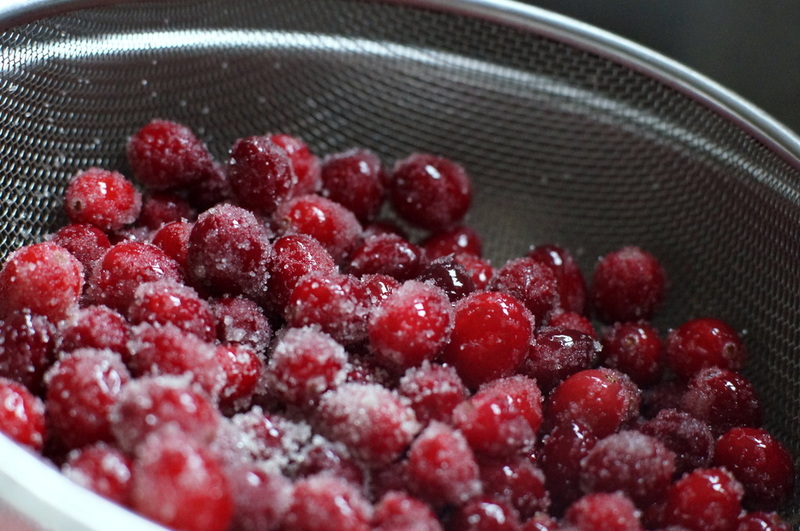 Put a large medium-mesh strainer over a bowl to catch the syrup, then pour the cranberries into the strainer. (Remove the vanilla bean, rinse, let dry, and use again or store in your sugar jar to gently scent it.) 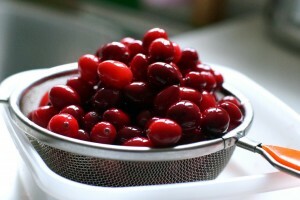 Let the berries stand in the strainer for 15 to 30 minutes, until well drained. Transfer the berries to a rimmed baking sheet. Pour the syrup into a clean glass jar or bottle, cover, and refrigerate. Put the pan in the oven, set it to 100F, and set the timer for 20 minutes. After 20 minutes, turn off the oven but leave the berries inside. Let them stand several hours or overnight to allow the syrup to dry. Before serving, sprinkle the berries on the baking sheet with additional sugar and roll them around to coat any bare spots with sugar. 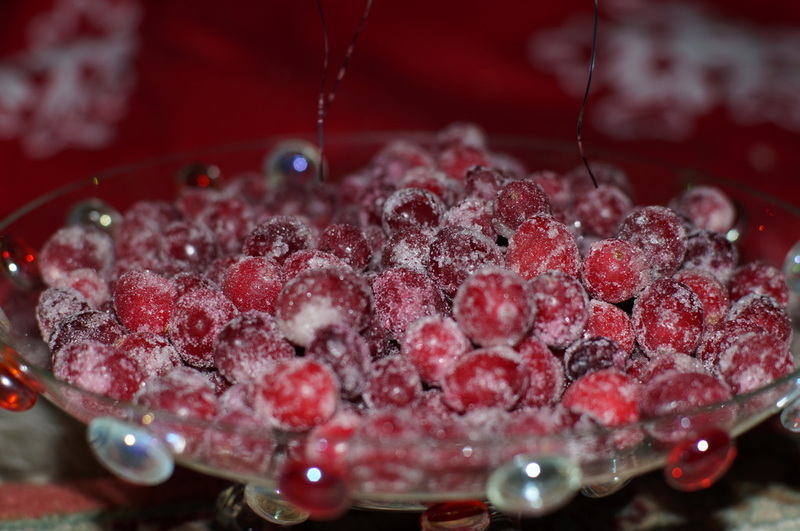 Put the sugared berries into a bowl, and serve. 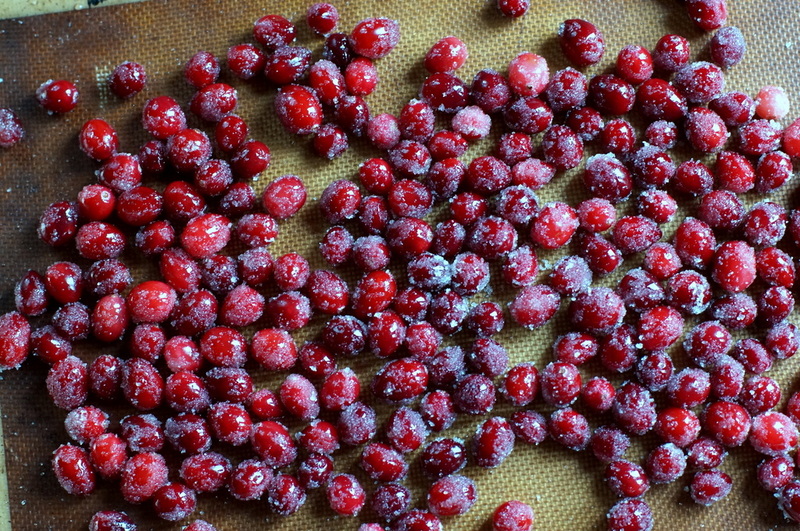 These easy to make sugared cranberries make a brilliant addition to the holiday table. Put 1 cup of the sugar, the vanilla bean, and the salt in a medium saucepan. Stir in 1 cup of water. Cook over medium heat, stirring occasionally, until the sugar dissolves. 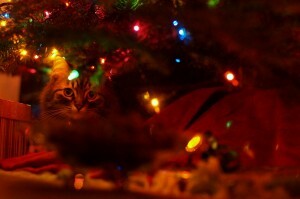 The mixture should be simmering gently but not fully boiling. Remove the mixture from the heat and let cool about 5 minutes. Add the drained cranberries and stir to coat them with the syrup. Set aside until the mixture reaches room temperature, then cover and refrigerate overnight. Put the pan in the oven, set it to 100F, and set the timer for 20 minutes. After 20 minutes, turn off the oven but leave the berries inside. Let them stand several hours or overnight to allow the syrup to dry.